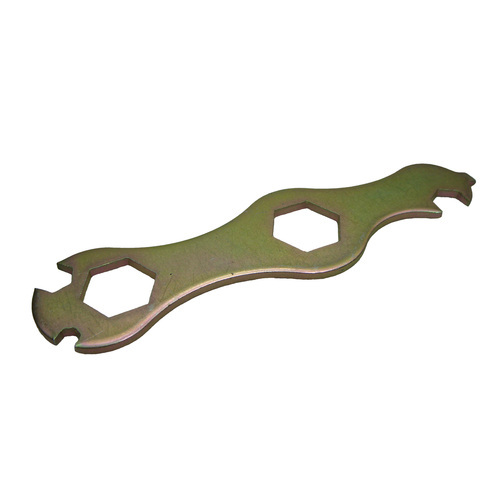 The British Seagull® flat metal combination spanner with useful cut-outs for the usual fixings used on British Seagull Outboards. The British Seagull® Outboard Combination Spanner has several cut-outs that are suitable for the fixings used during the manufacture of British Seagull Outboard engines. Please note: Suitable for all British Seagull Outboard models.